With two of our most ambitious projects to date overlapping for one weekend, we couldn’t afford to miss this opportunity to celebrate queer Black folk! All three of these events are crossover events between our current Queer Home and BOBV3 exhibitions. Three events, one weekend, and enough love to go around. All three of these events are centered on the queer black experience, but everyone is invited to listen, learn, and celebrate our creative community! 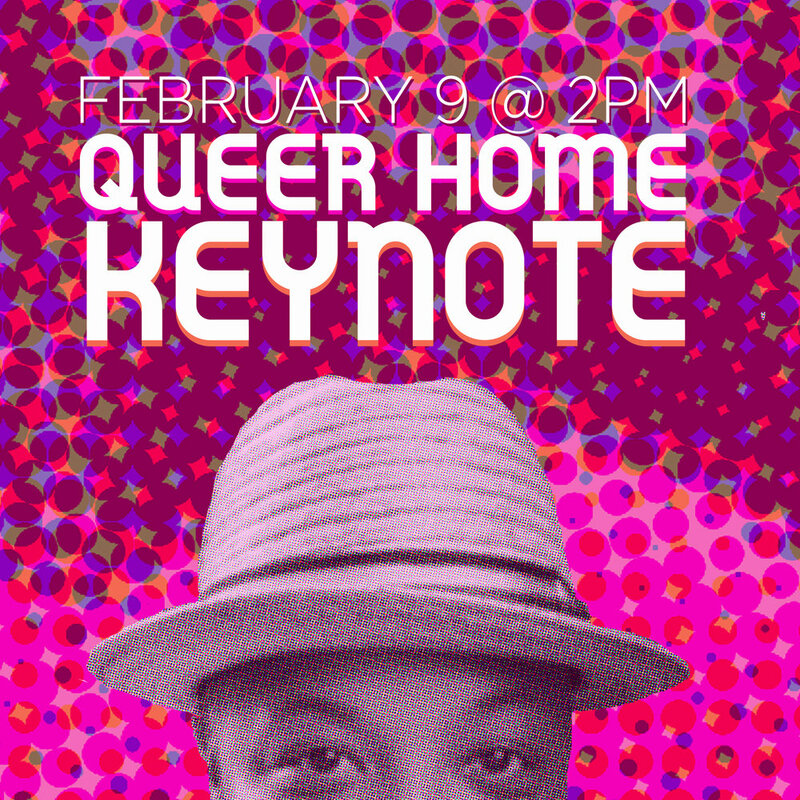 The Queer Black Art Aesthetic and Keynote are both free, tickets to the House Show is $7. Click the events below to see more details.